All The Pretty Dresses: If it looks like Cinderella is wearing pumpkins on her arms, it's probably 1890's. If it looks like Cinderella is wearing pumpkins on her arms, it's probably 1890's. 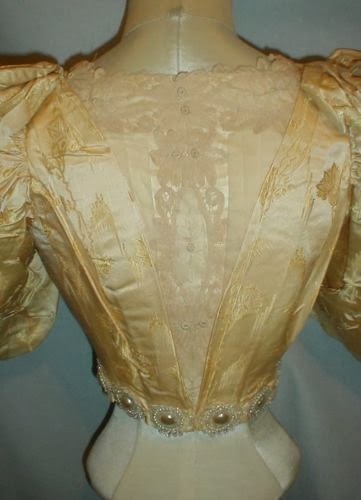 An elaborate 1895 yellow satin brocade bodice that comes with some extra fabric pieces. The fabric has a stylized floral pattern. 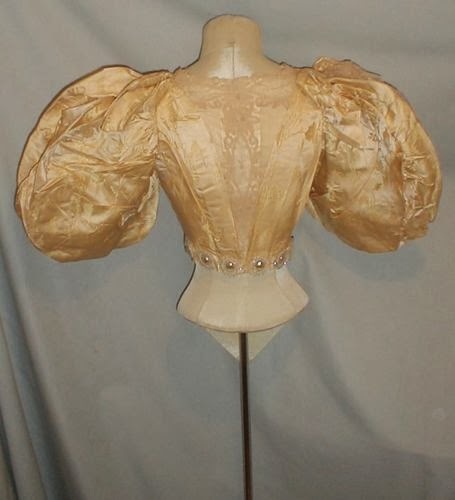 The bodice has large leg of mutton style sleeves. 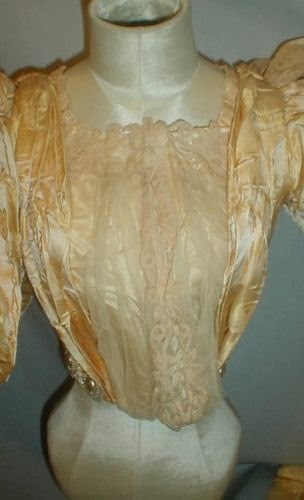 The front of the bodice and the sleeves have inserts of white organdy. 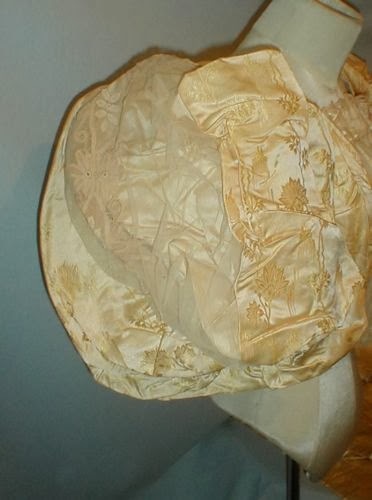 The organdy fabric is decorated with beige floral appliqués. 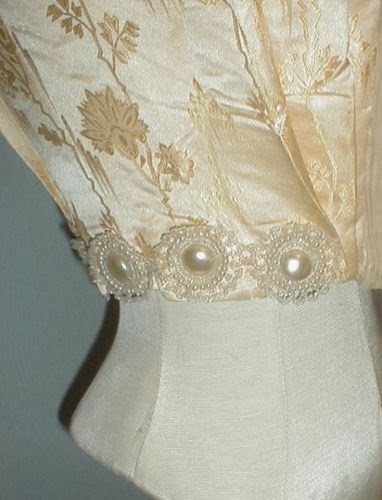 The waist is decorated with faux pearl appliqués. The bodice is lined with cotton and has a hidden front hook and eye closure. There are 5 extra pieces of fabric. They are all small pieces. The bodice and fabric are in very good and clean condition. 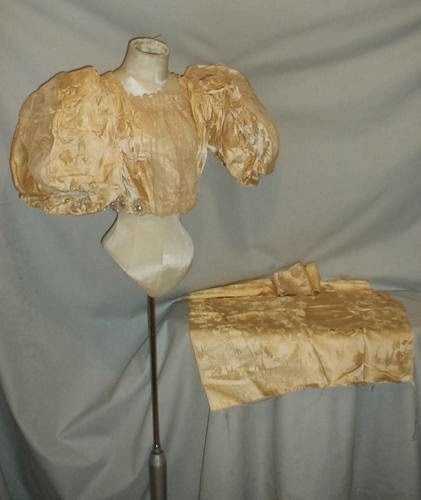 The bodice has a slight mark of underarm discoloration on the inside lining one and there are a couple of small peas size holes in the organdy fabric. Bust 30 Waist 22. ...I kinda want to make a dress with pumpkins for sleeves now. It would make an awesome fancy dress outfit. Anyway, yes, very much 1895 and an evening bodice. LOL! Those sleeves certainly makes the waist look tiny. So a Teens Era Dress! Natural Form Polka Dot Bodice!